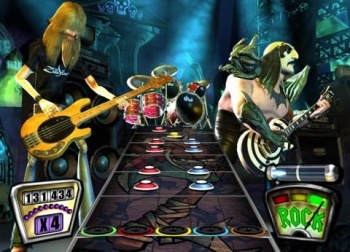 Even though Activision killed Guitar Hero last year, it was working on a reboot of the series. The key word here being "was." Nobody was all that surprised when Activision pulled the plug on Guitar Hero, since sales had been consistently dropping over the past couple of years. However, back in July, Actvision CEO Bobby Kotick announced that the publisher was working on plans to reboot the franchise. Now, it turns out that Activision has killed that project, too. In 2006 I was hired by Neversoft to work on the Guitar Hero franchise as part of the design team. After three years with Neversoft, I was one of five people selected by Activision to transfer to Vicarious Visions to help redesign of Guitar Hero. Sadly, last week, Activision brought all Guitar Hero development to an end. I'm proud to have been an original part of such a celebrated game. It's a little sad to hear that the dev team's project was axed, but it's not exactly heartbreaking. A reboot of a franchise that's only been dormant for a year seems like a dubious idea, at best.